On the latest episode of the Pollcast, Jacques Poitras discusses the history of language politics in New Brunswick. Host Éric Grenier also chats about upcoming byelections and the Conservative convention with J.P. Tasker. 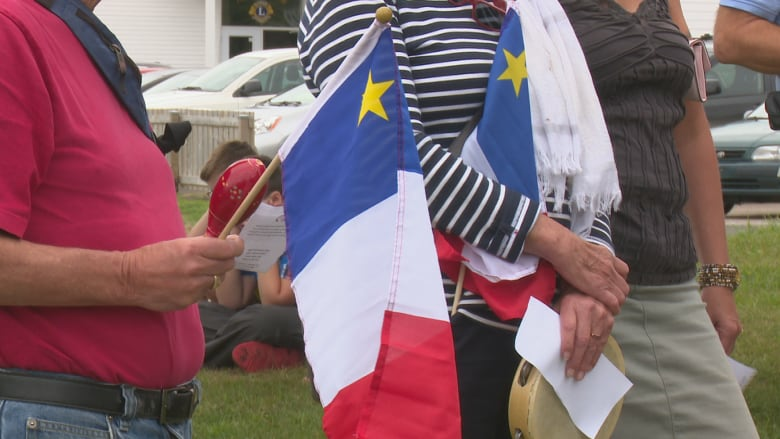 Language has long been a fault line in New Brunswick's ​provincial politics, with the Progressive Conservatives winning the anglophone vote and the Liberals dominating among francophone Acadians. Though the extent of the split ebbs and flows from one election to the next, the old divide could return to New Brunswick in this fall's provincial election. On the latest episode of the Pollcast, the CBC's polls analyst Éric Grenier is joined by Jacques Poitras, the CBC's provincial affairs reporter in New Brunswick, to discuss the history of language politics in New Brunswick, from Richard Hatfield's PC breakthrough among francophones to the rise of the Confederation of Regions party and the re-emergence of Liberal dominance in French New Brunswick under current Liberal Premier Brian Gallant. The CBC's J.P. Tasker also joins the podcast to discuss the upcoming federal Conservative convention in Halifax and NDP Leader Jagmeet Singh's decision to run in the Burnaby South byelection. Listen to the full discussion above — or subscribe to the CBC Pollcast and listen to past episodes of the show. Follow Éric Grenier, Jacques Poitras and J.P. Tasker on Twitter.